Skyway of Ocala operated flights as an Air Florida Commuter from December 1981 until Air Florida shut down in 1984. Points served included Ocala, Gainesville, Orlando, Tampa, Miami, West Palm Beach, Tallahassee, Pensacola and New Orleans. 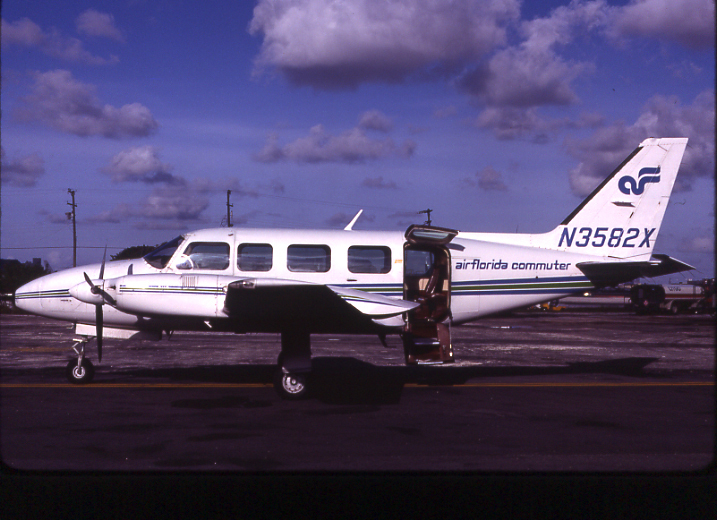 The airline operated 2 Piper Navajos and 4 Beech 99s. 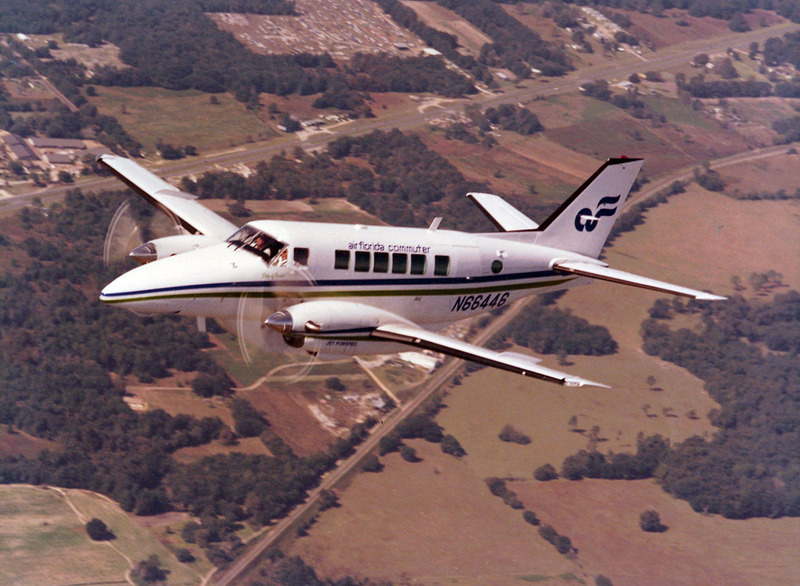 Below: A fantastic shot of Skyway Beech 99 N66446, the "City of Ocala", in Air Florida colors circa early 1984. Photo courtesy of John Young. John Young also provided this information: "Skyways of Ocala started out in Ocala, Fl as a small company on the Ocala airport. It was owned by the Lloyd family. The story was that they were good friends with Don Ford from Detroit, a member of the Ford family. He owned a large horse farm in Ocala. He wanted to invest in some airplanes / airline at the time the Lloyd family was putting together a deal with Air Florida. They bought three brand new Beech 99s. They had the Navajo you have a pic of on your web site. After Air Florida went out of business they changed the name to Skyway Commuter and operated until October 1985. During that time they bought two new Piper Cheyennes. The company never went bankrupt, just closed the doors and leased the planes to other companies until they were all sold. I flew for them from 5/84-10/85. I think that this pic (above) was taken in early 1984. It was given to me by Mr Ford's secretary after they had closed the doors." Piper Navajo N3582X painted in full Air Florida Commuter colors. For additional timetable images and information, visit the Skyway Commuter page at Timetable Images.